Born in Boston, raised as a Unitarian Universalist, Megan grew up in Watertown and Lexington, MA, and also in Bedford, England. Her family of origin has Unitarian, Jewish, Episcopalian and Quaker roots. Megan attended Tufts University and The School of the Museum of Fine Arts, Boston. She graduated in 2001 with bachelor degrees in Child Development and Fine Arts. While in college she lived for a year in China, learning Mandarin and teaching English to adults and children. 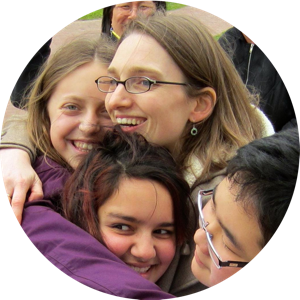 After college Megan was a social worker and artist for a few years, then attended Andover Newton Theological School and received a Masters of Divinity degree in 2008. Later that year she was ordained by the First Parish Unitarian Universalist in Canton, MA, where she did her student ministry. During and after seminary, Megan served as a chaplain at Brigham and Women’s Hospital in Boston, with a focus on oncology and neonatal intensive care. She also worked for Cooperative Metropolitan Ministries, an interfaith social justice organization, with high school youth leaders for four summers during seminary. Megan settled at The First Parish in Bedford in 2009 and has been serving as their Parish Minister in a team ministry with Senior Minister, John Gibbons, in the 385 member congregation since then. 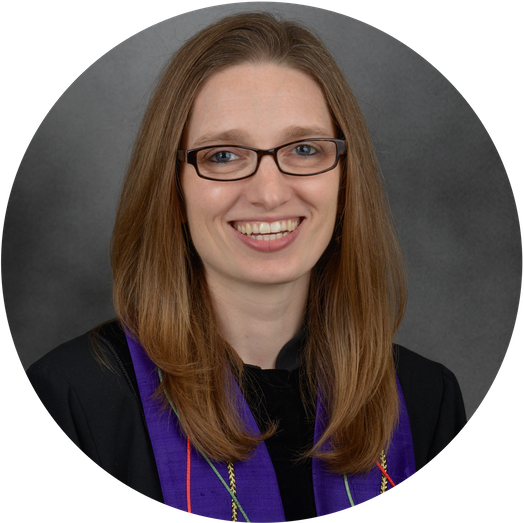 Some of her favorite aspects of ministry in Bedford include pastoral care and preaching, leading the Junior Youth Group, supervising student ministers, and starting up an arts ministry. She is the current president of the Mass Bay Chapter of UU Ministers. Megan’s volunteer work includes time spent at The Children’s Room (a center for grieving children and families), serving on the Board of The Beacon Hill Friends House (an intentional Quaker community where she lived during seminary), and leading peer counseling classes in the local community. For the last two summers Megan has worked in the youth program on Star Island, and has served there as Minister of the Week. Megan is a company member of True Story Theatre, which performs in and around Boston, using playback theatre as a means of compassionate listening and social activism, bringing true stories to life through improvisational theatre. Megan writes: It is with joy and excitement that I have accepted the offer to become the Minister of Faith Formation at The First Church in Sterling. I have known and respected Pastor Robin for a long time as a colleague and friend, and the invitation to join a vibrant and faithful community such as yours is a deep honor. I look forward to meeting everyone, and bringing my ministry to join with yours. See you in January! If you would like to review Megan’s resume, it is available here.